Day 4 of Vegan MOFO at Don’t Fear The Vegan will not contain a recipe but a bit of nutritional information . We have chosen the theme “Vegan A-Z” and will be going through the alphabet highlighting different things we find important about vegan food and nutrition. We have also been asked to be guest writers on Vegan Mainstream and our first post will be up on October 7th. Make sure you check out the blog roll on VeganMOFO to see all the other amazing bloggers participating. As vegans the medical profession reminds us constantly of our B12, Calcium and Omega’s. However, I have never been asked until recently about my vitamin D intake. Until then, having has spent most of my life in California it is something I absolutely never thought about. I went through a series of test because due to some medical problems where I was constantly tired, experiencing muscle fatigue, depression, forgetfulness, dizziness, and the symptoms kept going. After getting blood work done I found out that I was extremely deficient in Vitamin D and that I needed to remedy it immediately. My doctor subscribed a liquid 1000 IU potency supplement and she told me it was vegan. Vegan sources for Vitamin D are few. Sun, which is not a good thing for us Northwesterners, especially when you need 10 -15 minutes of sunlight (preferably on the hand/wrist area) 2 -3 times a week, because we go months without a glimpse of the big fire-ball. A D2 supplement that is often used to fortify things like non-dairy milks. 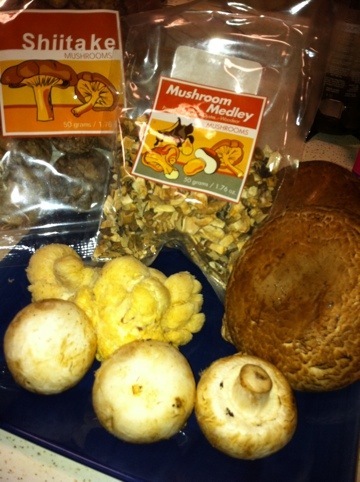 Mushrooms, which contain 2 IU per half a cup of raw and for a healthy dose you need 200 IU a day. Make sure you are getting your vitamin D2. It is especially important to watch the intake of our young vegans for proper tooth development.